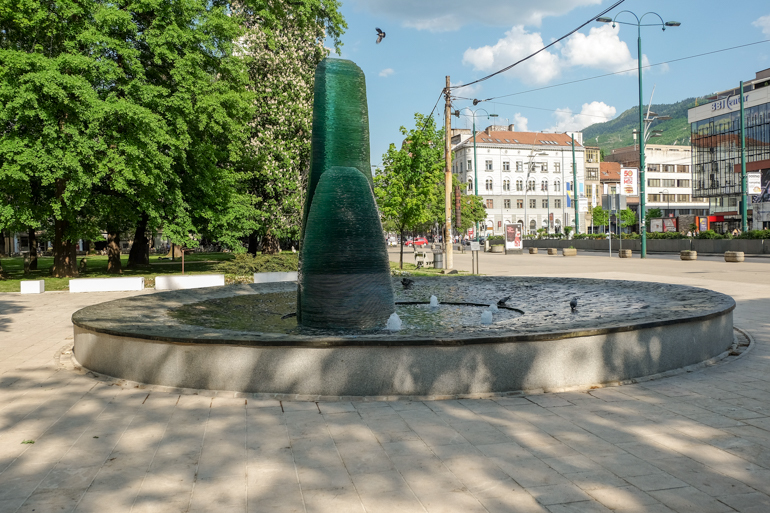 There are lots of free things to do in Sarajevo that you can enjoy. Sarajevo tourism is certainly booming – as we saw lots of tourists, backpackers, and other travelers checking out the city. Our walking tour also had a ton of people from all over. Both the city – and the country – have a rich history full of highlights and darker times. It’s fascinating and heartbreaking to explore the city and learn about the past. We even wrote a whole post on our experience travelling around Bosnia and Herzegovina! That said, there are lots of hidden gems and tourist attractions in Sarajevo depending on what you are interested in seeing. We don’t really cover the unusual things to do in Sarajevo, however, many might consider exploring an underground tunnel a little unusual! But we’ll get to that! There are lots of things to do in Sarajevo at night like enjoying a coffee in the market with the locals and tourists alike. It’s very relaxing. 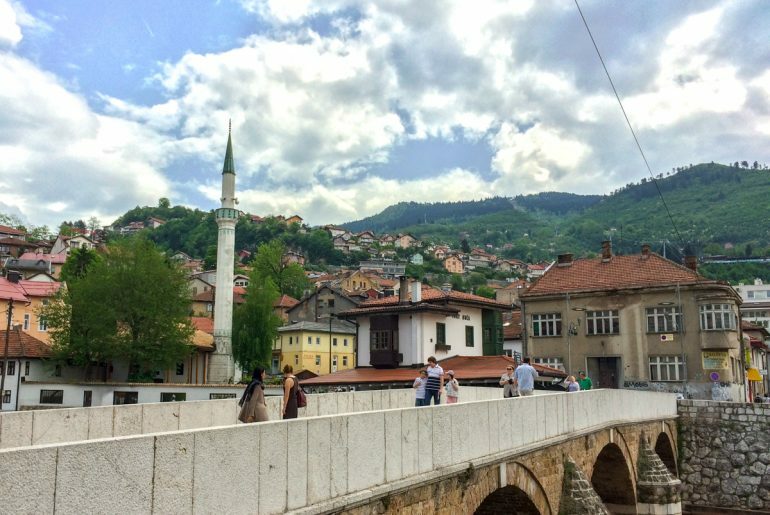 If you’re ready, here are our thoughts on different things to do in Sarajevo! 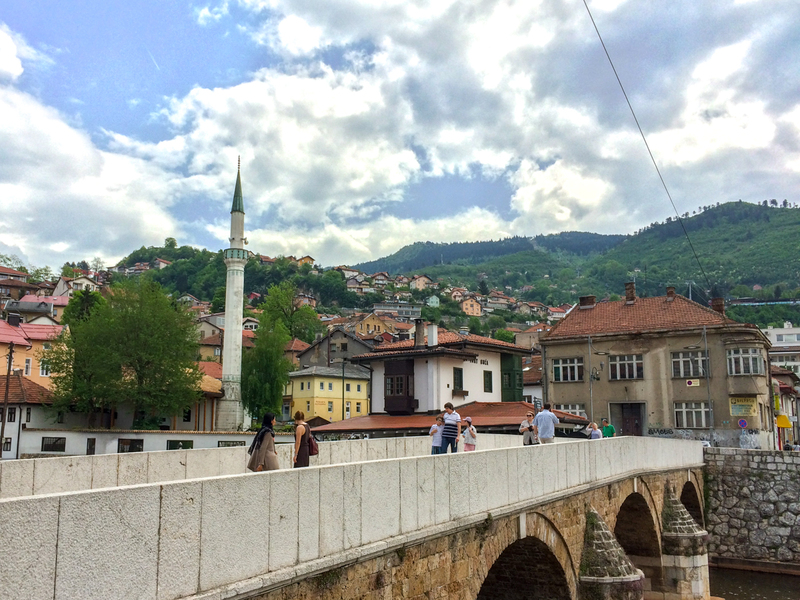 Disclaimer: We don’t usually use a ton of photos in our posts but Sarajevo is different. Explaining everything just wouldn’t be enough. 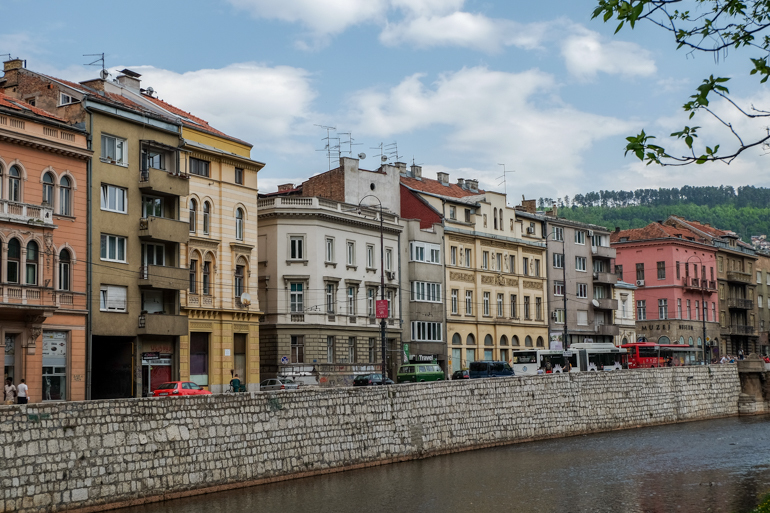 We want to show you what Sarajevo looks like. We also explored Mostar and loved it. Basically, we want you to experience Bosnia & Herzegovina for yourself someday, too. 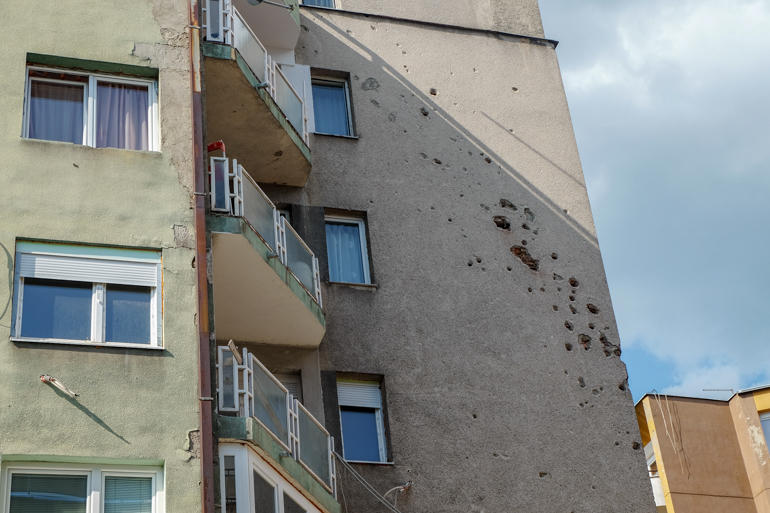 Now, don’t laugh – but we actually did two walking tours while we were in Sarajevo. We found Neno and Friends Free Walking Tour when we looked up tours online. We decided to participate in their “War Times & New Times” Tour. The 2.5-hour tour was super interesting and the tour guide was great. She was a child during the war and so her perspective paired well with many of the sights and stories about the Bosnian War – and the Siege of Sarajevo specifically – was difficult yet fascinating to learn about. Damage from mortar shell shrapnel is still found around the city. Our guide also did a great job of answering questions, making sure everyone was on the same page, and also safely crossing the street. This is something you don’t think about until you have a guide that doesn’t care about this. It can be dangerous with a large group! Steel plates protecting “Sniper Alley” – a stretch of open road notorious for deaths from snipers. Overall, we really, really enjoyed our tour. You can tip at the end if you think the service was good or you can go – it is a free tour, after all. We tipped, and we enjoyed it so much that we decided to do the general walking tour the next morning! 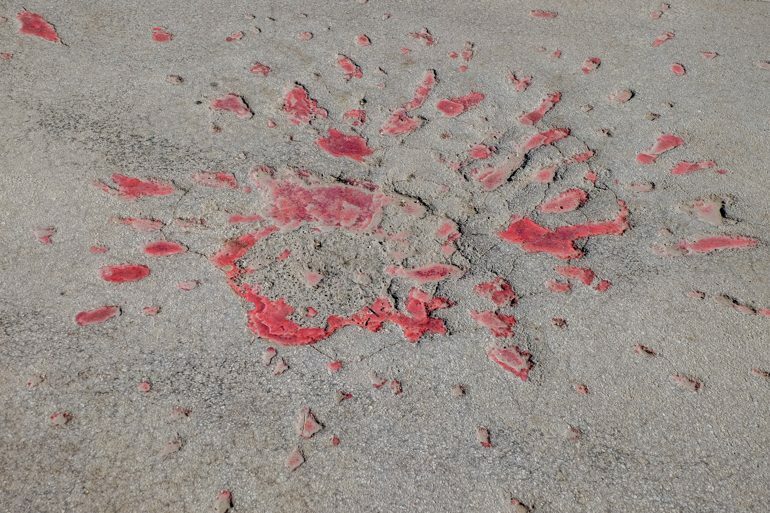 A “Sarajevo Rose” marks where someone was killed by a mortar shell. This time the tour guide was with Neno (the founder of the small company) and he did the “East Meets West” Free Walking Tour. Neno was also a child during the war and his experience and enthusiasm for Sarajevo really came through in his talking points. Neno walked us through the rich history of the city – from the Ottoman empire to the Austro-Hungarians and all the way to the present time. It’s safe to say that we learnt a ton! The Austro-Hungarian architecture is beautiful in parts of the city. If you are thinking about doing a walking tour, we can only say one thing: DO IT! We would absolutely recommend the walking tours by Neno and his two friends. You can read more about Neno and Friends and see where the meeting point is here. The cable car wasn’t in use for the longest time (like decades) and has only been reopened in April 2018. When we were there a few weeks after reopening, the cable car was running but you couldn’t get out at the top of the hill yet since they were still working on the station. Since it was a little pricey – approx. 10 Euro per person – we decided to not do it this time. We liked Sarajevo so much that we know we’ll be back. We’ll for sure ride the cable car the next time when you’re able to get off at the top and enjoy the view for a bit longer – which by now you’re most likely already able to do! We can say from what we have seen of Sarajevo and the surrounding mountains, the view from the cable car and the mountain would be spectacular. You can find more information about prices and operating hours here. Sarajevo Brewery is a gorgeous, historic building. Around for over 150 years, the Sarajevo Brewery has been making beer onsite for decades. It’s a popular beer around the city and we had it with our dinner on the first night we were there. There are a museum and a bar which you can enter for a fee to try different ones. We didn’t get the chance to go (we saw it on the walking tour) but Neno said it was definitely something to check out if you like beer (which Eric does). You can read more about their hours and prices at their official website. 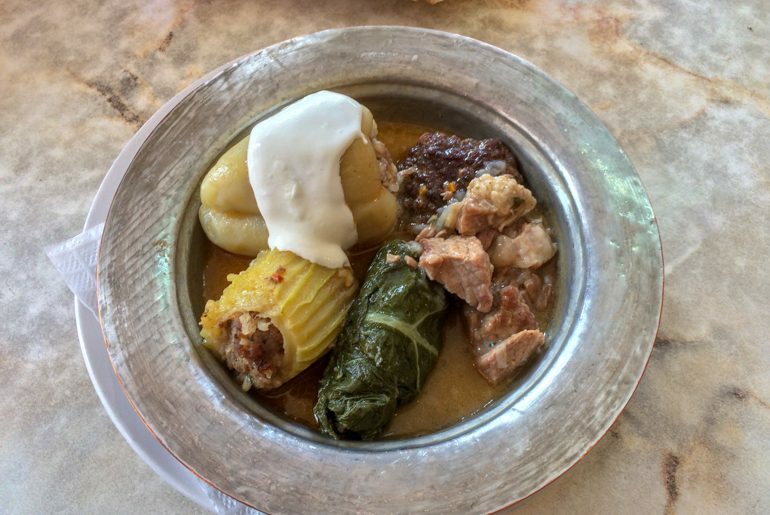 This plate was from Aščinica Stari Grad – a VERY local place. This was probably one of our favorite things to do in Sarajevo. In fact, we’ll go so far as to say that Bosnian/Balkan food is the most delicous cuisine we’ve had in awhile. Is it healthy? Not really – Burek is an oily pastry from heaven and we don’t care if we eat it every day. In short, we really enjoyed the food. We probably ate too much cevapi, which is the grilled sausages that you can find all over the Balkans. Holy crap are they good – says Eric. Many of the local food can be found in The Baščaršija or “Turkish Market Area”. This is where we tried cevapi, different kinds of burek, stuffed peppers, stuffed onions, etc. We’ll leave you with one recommendation for an authentic lunch and that’s at Aščinica Stari Grad. It was suggested to us and it did not disappoint. Bosnian food is wonderful. 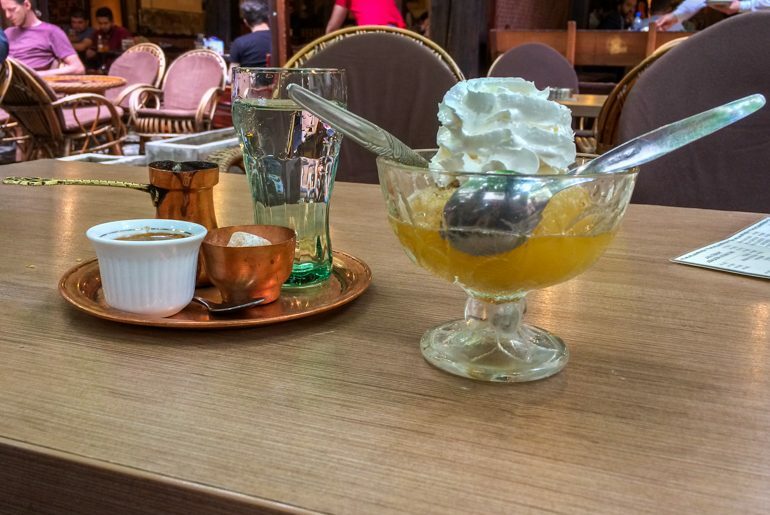 Read all about our other Sarajevo restaurant recommendations in the Old Bazaar! A Bosnian Coffee on the left and Tufahija on the right. Definitely share the Tufahija! You should also find a place to try Turkish coffee and tufahija (a dessert made with apples and walnuts that is absolutely delicious but very sweet). You should also try baklava which we didn’t since we ate so much already. We also thought we could just get it in another Balkan country – WRONG! Bosnia & Herzegovina is apparently the best place to try it. We will be writing a separate food post about restaurants and foods we tried during our time in Sarajevo very soon. While this is not located in the city centre with most of the other attractions it’s certainly worth visiting if you are interested in learning more about the war. The tunnel is located close to the Sarajevo Airport and possible to reach by tram/bus. The tunnel was built in 1993 during the Siege of Sarajevo in order to allow food, humanitarian aid, and supplies into the city. This was difficult to do any other way since the Serbian army surrounded the city. Today, you can still walk a small part of the tunnel and visit the museum to learn more about it. The prices as of May 2018 are 10 Bosnian Mark for adults and 5 Bosnian Mark for students. You can have a look at some photos and check out details such as opening hours and the exact address on the official website for the tunnel. Wandering the Turkish market area. 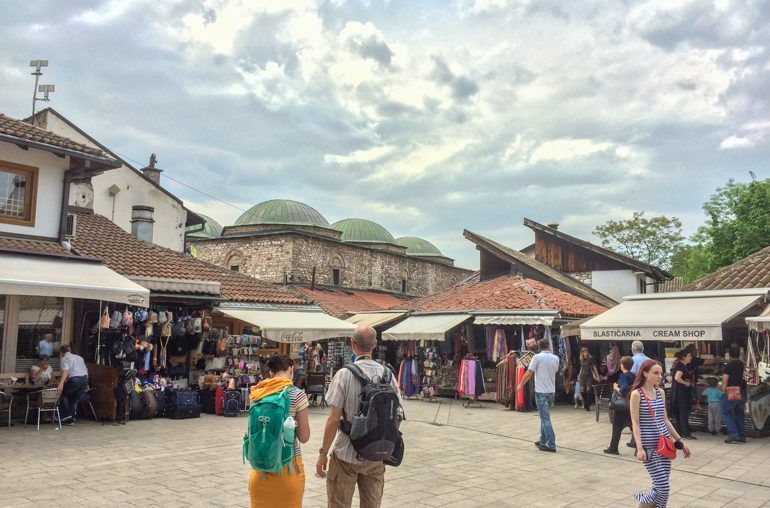 If you’re in Sarajevo, you absolutely must take a stroll through the city center. It’s a mix of old and new architecture and vibes – where “east meets west”. The most interesting part for us was the bazaar area called Baščaršija. During the walking tour, we learnt that it was the place where vendors/craftsmen came to during the Ottoman Empire to conduct business. The different streets were actually for different crafts – so on one street you could only find silk sold and on another, you’d find all the blacksmiths. When you walk around you’ll see plaques on the wall that tell you what kind of craftsmen worked on that specific street in the past. Today, you’ll mainly find restaurants, cafés, and souvenir shops in the area. You can definitely buy your own Turkish coffee set there if you wanted to. This is also where we sampled most of the food mentioned above. It can get very crowded since the streets are small, but it is a unique experience so you should definitely not miss it. Just make sure to watch your belongings since pick pocketing does occur. The interior courtyard of the Emperor’s Mosque. Sarajevo is a unique city in the sense that a lot of different religions co-exist. It was quite interesting to hear the call for Islamic prayer numerous times a day throughout the city and echoing off the hillside. So, if you’re in Sarajevo, you also get the chance to visit multiple different places of worship. 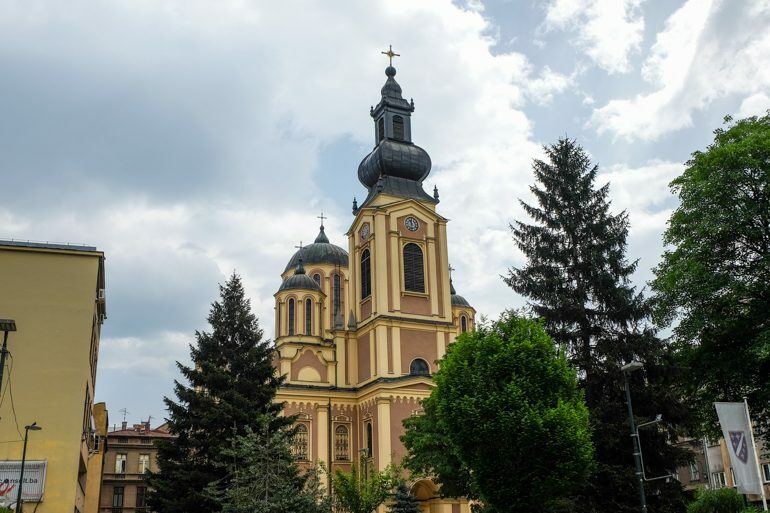 If you walk around enough, you’ll pass a few of these places like Sacred Heart Cathedral on the main pedestrian street and the Cathedral Church of the Nativity of the Theotokos, pictured above. There’s also a Synagogue, the Ashkenazi Synagogue, on the other side of the river which we checked out with Neno. We went into the courtyard of the Emperor’s Mosque but unfortunately didn’t go inside since Lisa didn’t have a headscarf. So if you are female and want to see a mosque from the inside make sure to bring a headscarf or buy a cheap one at the bazaar beforehand. You might think it’s ridiculous that we included this as a separate point, but once you’ve been to Sarajevo you’ll understand. Coffee plays a huge role in the everyday lives of the people of Sarajevo. You’ll see people sit in cafés and enjoy their coffee at almost all hours of the day. Unfortunately, this is also due to the fact that the unemployment rate among young people is incredibly high but that’s another topic of conversation about the government and how the country is run. No for this post! 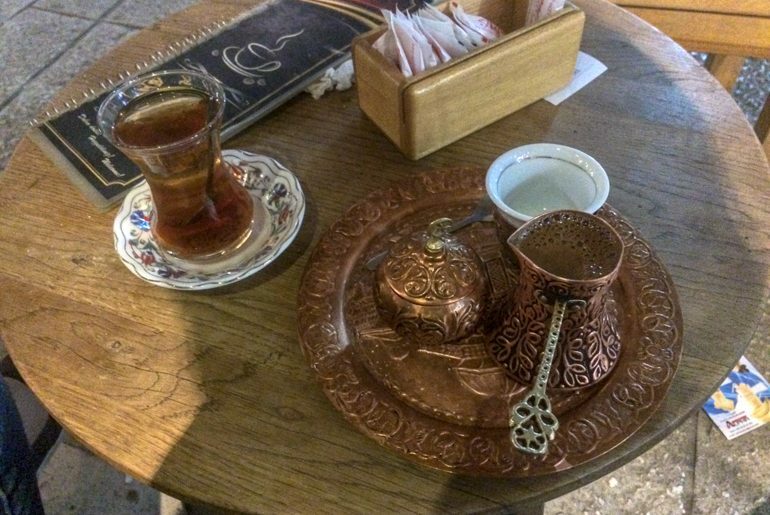 It was in Sarajevo, that we found our love for Turkish/Bosnian coffee. There is a slight difference in how they are prepared but please don’t ask us what that difference is. We can only recommend that you try both at least once. This style of coffee is quite strong and there is a certain art that you have to master in order to avoid drinking straight coffee grounds. Just watch the locals and you’ll figure it out quickly. Alternatively, you can always go for an espresso – this seems to be the choice of coffee. So, if you sit at cafe and just say you want a coffee – don’t be surprised if you get served with an espresso. 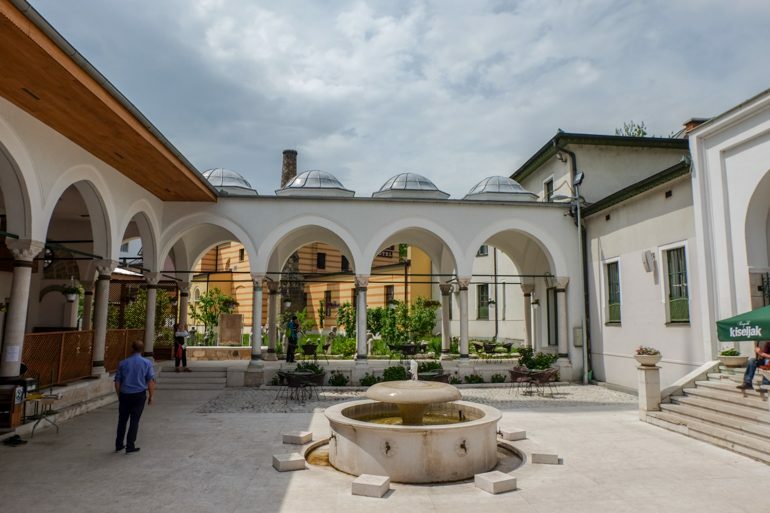 With the conflict as such a large part of Bosnian history, there are so many different museums in the city. However, apparently, not all of them are worth visiting. During the walking tour our guide recommended the Historical Museum of Bosnia & Herzegovina and the War Childhood Museum – this one was actually very close to where we stayed. However, since we participated in two tours and had a few other things we wanted to check out, we didn’t visit any museums (it was also a holiday). If you stay for a few more days, the two museums mentioned would probably be a good start. 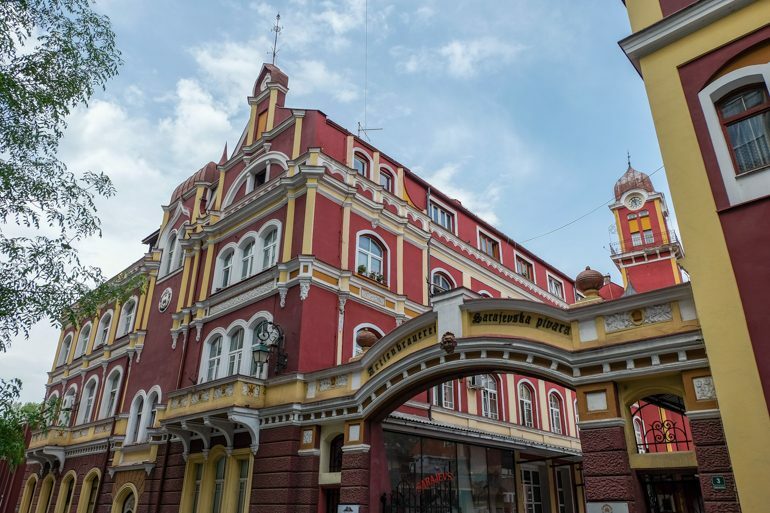 If you take a walk through the city, you’ll probably come across lots of interesting looking buildings or attractions. We wanted to mention some of them since they are worth seeing. The City Hall is close to the river and very close to the Bazaar area. During the walking tour we learnt that it burned down during the siege in 1992 and almost TWO MILLION books were lost. 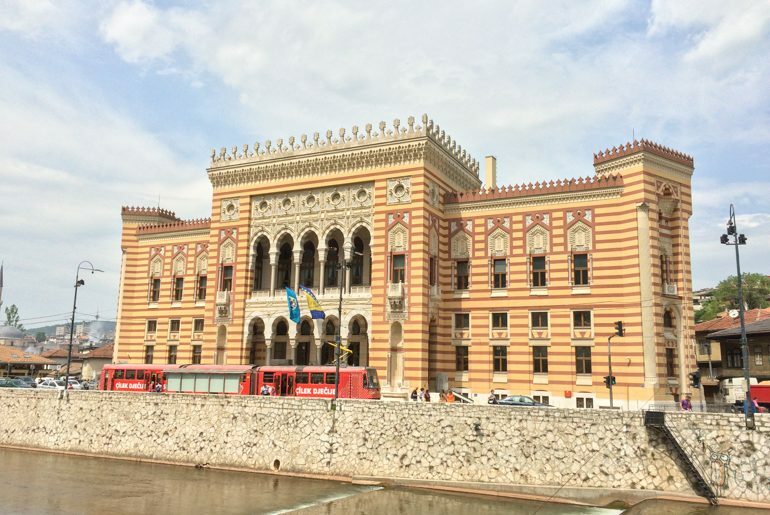 While this was a huge blow to Bosnian history/culture, they have since rebuilt it and it looks beautiful. Crossing the river just down from City Hall you’ll find the Latin Bridge. This Ottoman-style bridge is popular because it’s pretty but also because it marks the spot where Archduke Franz Ferdinand and his wife Sophie were assassinated in 1914 by Gavrilo Princip, which is hailed as the catalyst for starting World War I.
There’s a plaque on the wall near the bridge showing the spot where they were shot in their motorcade car. The whole story of that day is fascinating and Neno told it really well! At the point where the pedestrian street meets the street Maršala Tita you’ll find a memorial with a flame. This is a memorial for the victims of World War II. There’s often a crowd gathered taking photos so you can’t miss it. There’s quite a bit of reflection that takes place in Sarajevo. It’s peaceful and humbling in a way. 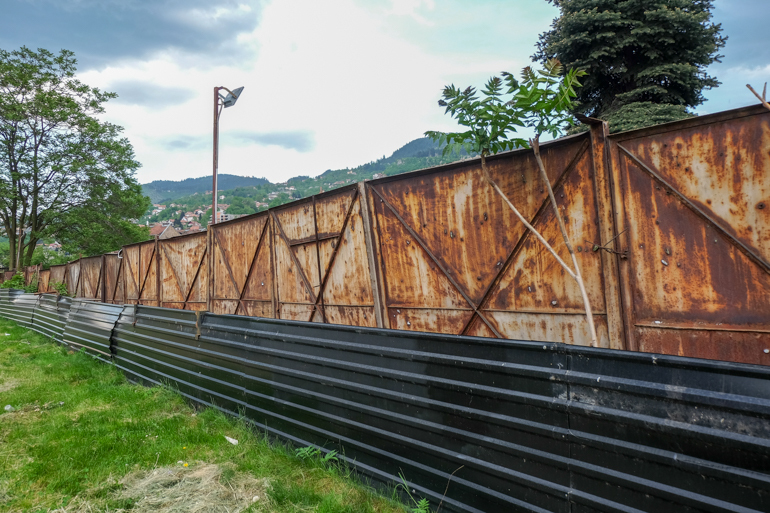 And there you have it – some of the things we got up to in Sarajevo! Honestly, we loved the city so much. Having no idea what to expect going into it, we were so pleasantly surprised by how diverse, peaceful, and beautiful the city is. 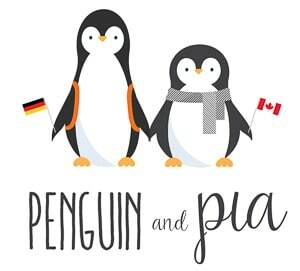 We think it’s an up-and-coming destination. We’re really happy to have travelled there so that we can help to dispel myths and share our knowledge about both Sarajevo, and about Bosnia & Herzegovina, in general. 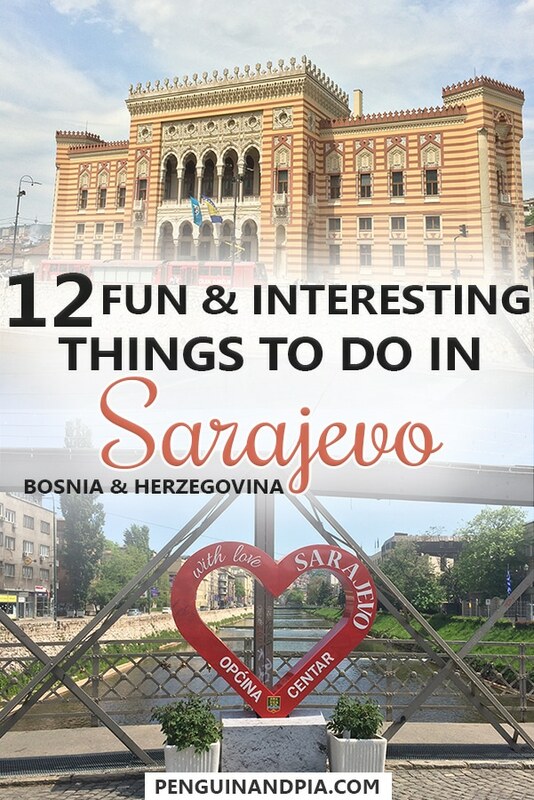 Have you been to Sarajevo? What did you think? Let us know by getting in touch – we’re always down to chat about Sarajevo!